Premium materials meet South Beach’s signature colors. We recently saw The Shoe Surgeon welcome a special Air Jordan 1 “Canary” inspired by the Diamond Supply Co. x Nike SB release last month. Today, the famed footwear craftsman gets in the Art Basel spirit with a new Air Jordan 1. 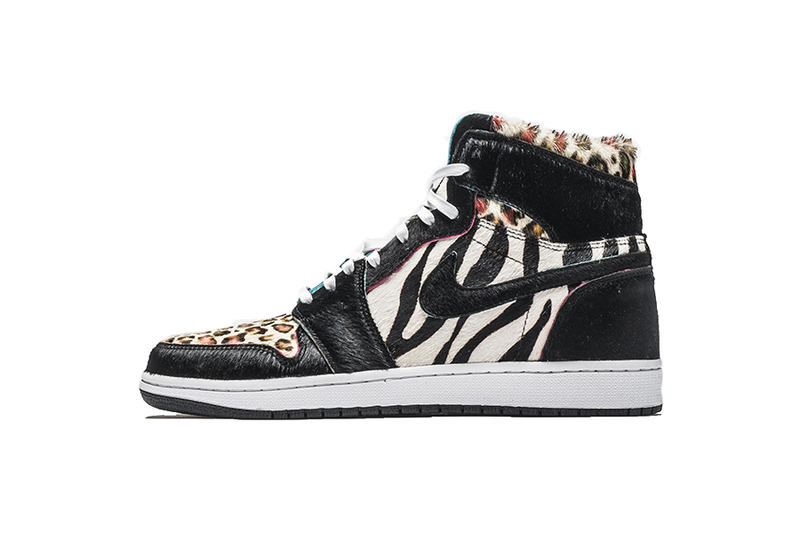 Channeling some design cues from March’s Air Jordan 1 “Beast” drop, you’ll find a mix of cheetah-printed calf hair, leather accents, Japanese plonge leather liner and lamb leather on this pair. Dominated in contrasting black and white, you’ll also find pink and teal accents throughout as a nod to Miami’s nightlife. The Shoe Surgeon’s Air Jordan 1 “South Beach Beast” arrives on December 8 at 8 a.m. PST for $2,500 USD via TheShoeSurgeon.com. In related news, you can check out The Shoe Surgeon’s custom Off-White™ x Air Jordan 1 in honor of Takashi Murakami. With powerful imagery on display. More content equals more ads. Advent Calendar Day 5: 1017 ALYX 9SM Chest Rig "Contrast"
The fashion industry’s favorite wearable accessory.